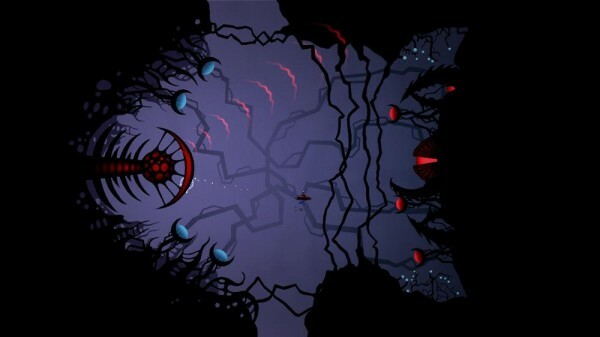 Insanely Twisted Shadow Planet was developed by FuelCell & Gagné International and published by Microsoft. It will be released on August 3, 2011 as part of Summer of Arcade for 1200 MSP. A copy was provided for review purposes. There’s always that one game during the Summer of Arcade that, at least initially, feels out of place among the others. It’s usually the game with quirky mechanics, a very unique art style, or any other combination of things that set it apart from your average, mainstream game. Last year, Limbo seemed to be the game that built up that attention and this year it looks like Insanely Twisted Shadow Planet will be following that same trend. We can’t say we’re surprised, it received E3 2011 Best of Show award. You play as a little alien confined to a mini UFO that must save the planet. You must maneuver into the depths of the core to save it from evil. 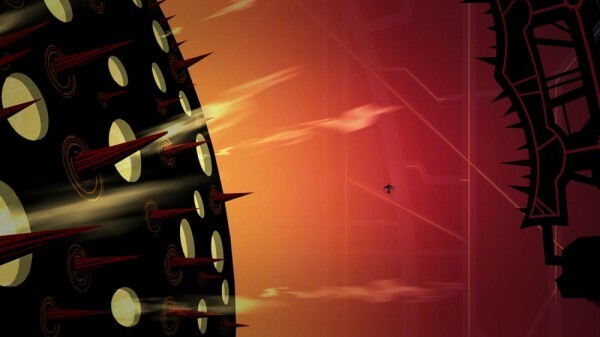 The game features animation by Michel Gagné, a transplant from the movie industry who’s worked on Iron Giant and other animated films. It’s a gorgeous world filled with fear, not to mention it plays like a cross between Metroid and a shoot em’ up. Was it worth the wait or was it undeserving of our accolade? Exploring all the nooks and crannies – As the game begins, you’re free to move around the world as much as you can. But there’ll be places you can’t reach entirely yet until you have the right equipment similar to Shadow Complex. There’s plenty of incentive to explore the entire world. Rewards for doing so include things like artifacts or concept art. The in-game map teases players just enough to coax them to explore by revealing a little bit at a time. It’s a slick way to keep players interested. Gorgeous art and design – Michel Gagné has a history in film animation but this was the first video game he’s ever worked on. He loved the side-scrollers like Asteroids when he was younger and he’s combined that with his background in film. Creatures range from the organic plants to snowflakes to bolts of electricity, each with their own behaviors and eccentricities. The creatures are both vivid looking and have a sense of life which makes the game even more engrossing. 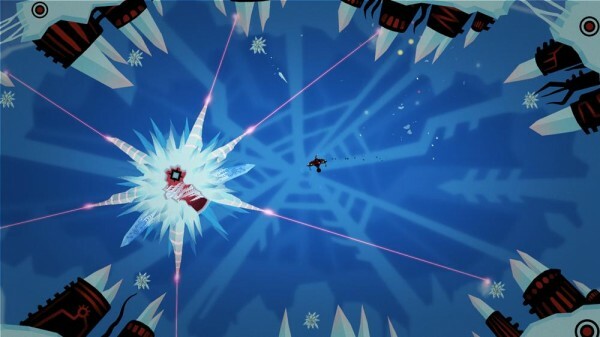 Challenging but rewarding gameplay – You may think it looks like a run-of-the-mill shmup but if you see past it, you’ll see something that’s more than just shooting. As you progress, you’ll earn more abilities that let you buzz saw rubble, pick up rocks and shoot missiles. Some help out in combat but the real meat of the powers comes from exploring. It plays even more with the tools in the multiplayer Lantern Run mode where you must work together with your partners in order to survive the tombs. Just like in Metroid, all the abilities have a purpose whether it comes to opening doors or solving various puzzles, it’s up to you to figure out the right tool for the right situation. Over-thinking – There were a couple puzzles where it wasn’t entirely clear what to do but once you figure it out, you feel like you over-thought the situation. Careful not to do that on your playthrough, just remember that you can scan anything and you might just need an item or the right ability. Over too soon – When we finished the game we were left wanting more. From the puzzle solving to the beautiful art it was all such a satisfying experience that we had a craving to do it all again. Here’s hoping that we’ll see more collaborations from Fuelcell and Gagné International, especially if that means additional content. In the end, you’ll never want to be done exploring the depths of Insanely Twisted Shadow Planet. The game’s art feels like a genuine animated film and it’s combined with a side-scroller that has great re-traversal elements. It’s a marriage of tastes we’ll want to see more of. This nice, dark title is the perfect thing a to cool the hottest month of summer.